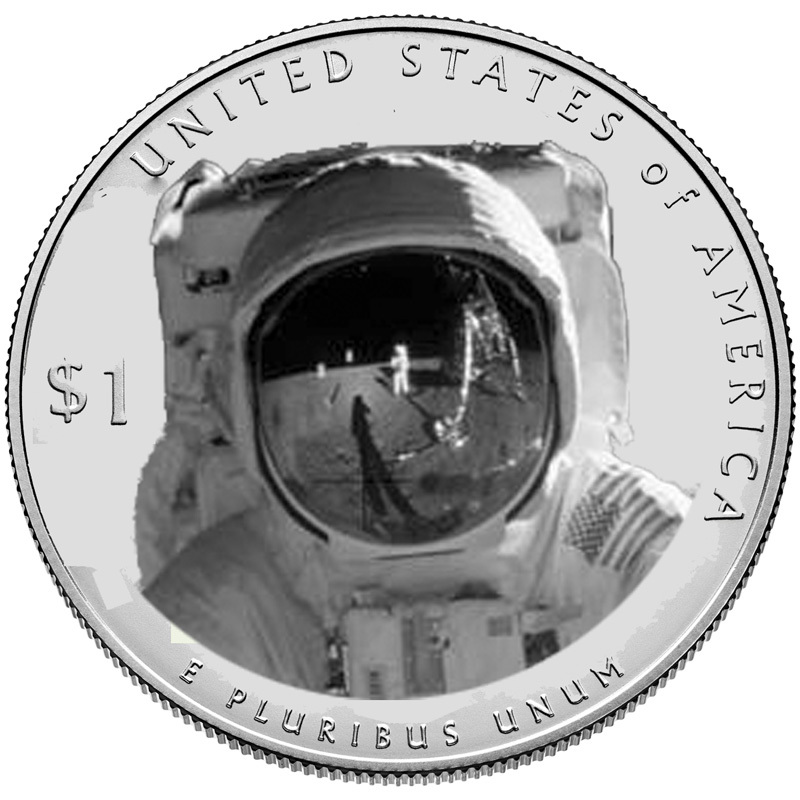 Artist’s conception† of the common reverse for the 2019 Apollo 11 commemorative coin program. Every year since coming into office, President Barack Obama and his family packs up and flies to Hawaii for an end of the year vacation. Obama was born in Hawaii and still has some family on Oahu. Before leaving Washington, he will sign whatever bills are sent to him by congress. According to the White House News Feed, President Obama signed the Apollo 11 50th Anniversary Commemorative Coin Act on Friday, December 16, 2016! Based on my posts from the last few weeks, I am sure you can tell I have a fascination with space. In fact, if there is such thing as reincarnation, I want to come back in the future to be able to travel around the universe in a manner similar to what we see in the movies. It is sad that there is no real enthusiasm for space exploration as there was when Apollo 11 landed on the moon! In July 1969, my family lived in the Long Island suburbs of New York. The year before Apollo 11, my father bought a new, large RCA color television. Aside from learning that the beginning and end of Wizard of Oz was in black-and-white, I was able to watch the launches of the world’s largest Roman candle, the Saturn V rocket. Before Skylab and the Shuttle programs, it was a marvel of human achievement. I loved watching the liftoffs from Cape Kennedy and always wanted to go see one in person. I never did get to see a rocket launched, but I hope to some day. It wasn’t until years later when I learned more about the Cold War when I understood why it was more important for the United States to land and walk on the moon first. All I knew was it was very cool that an American was up there. It made Star Trek seem possible! The moon walk was Monday night. Again, we were staring at the television watching the enactments as to what to expect. There were mockups of the Lunar Module and astronauts demonstrating what Armstrong was supposed to do. I remember the concentration on the “D-Ring,” the D-shaped handle that Armstrong had to pull on to open the door that had the camera. There was a question that the ring had to survive the landing and that the door could have jammed. We would have a historical moment without it being recorded on video! There has been a “controversy” about whether Armstrong said “… one small step for man,” or “… one small step for a man.” Whatever is the correct version does not take away from the feat and the fact that Neil Armstrong was the first human being to set foot on Earth’s only natural satellite! While NASA was the inspiration for many of the modern technologies we enjoy today, only Apollo 11 took it to the level of defining U.S. technology. While Skylab and the Shuttle programs were far more advanced, Apollo 11 stands as one of the 20th-century’s most amazing feats. Winning designer to receive no less than $5,000 for their design. Surcharges of $35 per $5 gold; $10 per silver dollar; $5 per half-dollar; and $50 per five-ounce bullion. † I may not be much of an artist but I can play a little with Photoshop!